Semi-opaque black tights with white skeleton pattern. 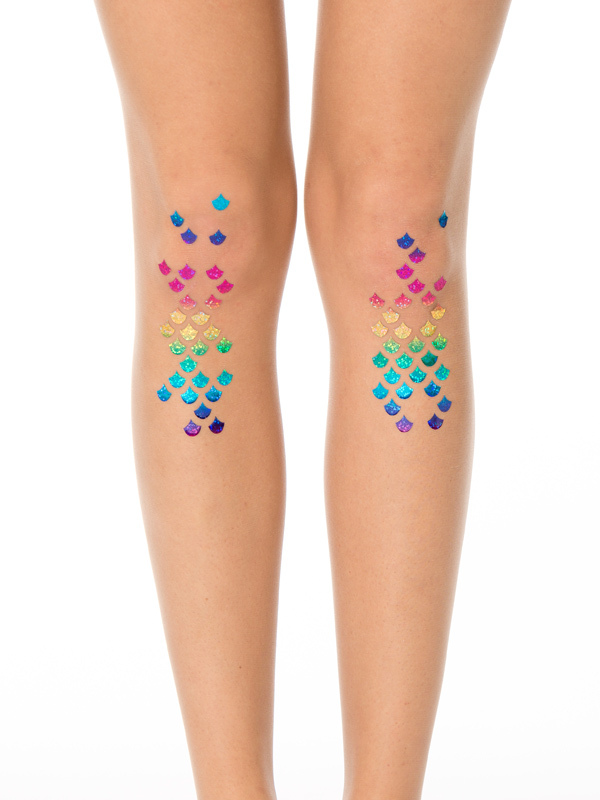 White skeleton pattern on both legs (front only). The material is super soft, fits nicely thanks to its comfortable stretch. The skeleton pattern will not stretch. 40 denier, semi-opaque, soft touch microfibre tights. Check ‘Color and Material’ section in FAQ for more information. 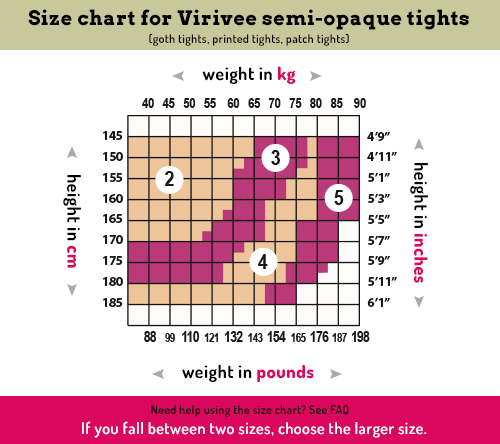 To use the sizing chart you need your height and weight. If you measure your height in cm, check the left side of the chart (145-185), if you measure it in feet, check the right side (4’9”-6’1”). To find your weight in kilogram see the top of the chart (40-90), in pounds/lbs see the bottom of the chart (88-198).